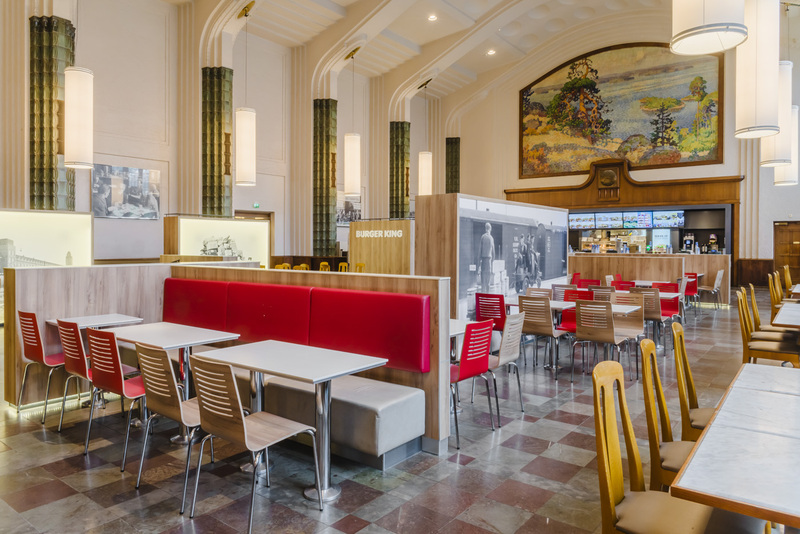 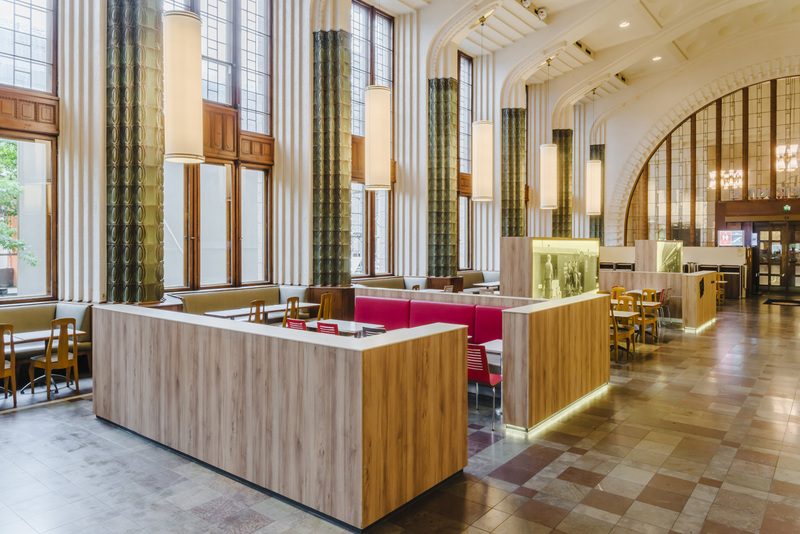 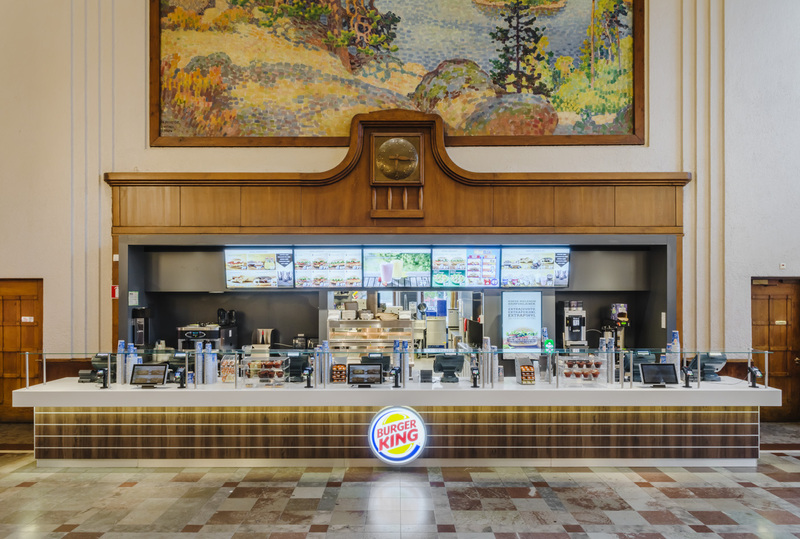 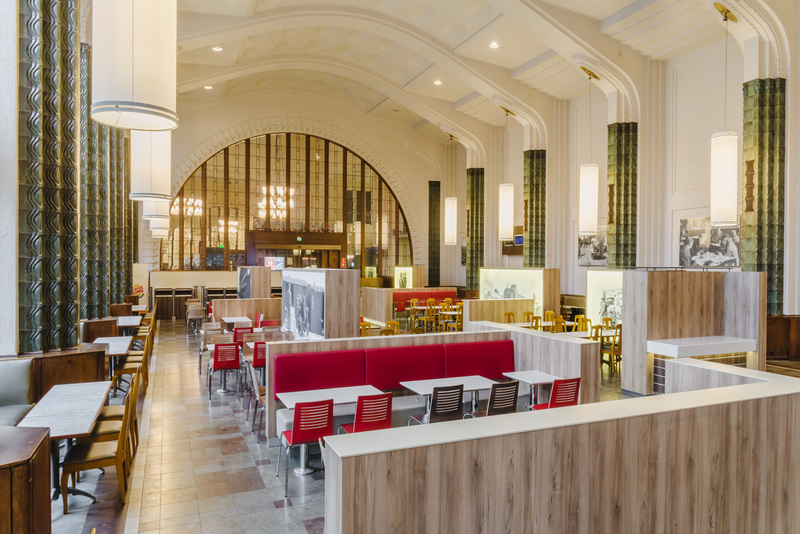 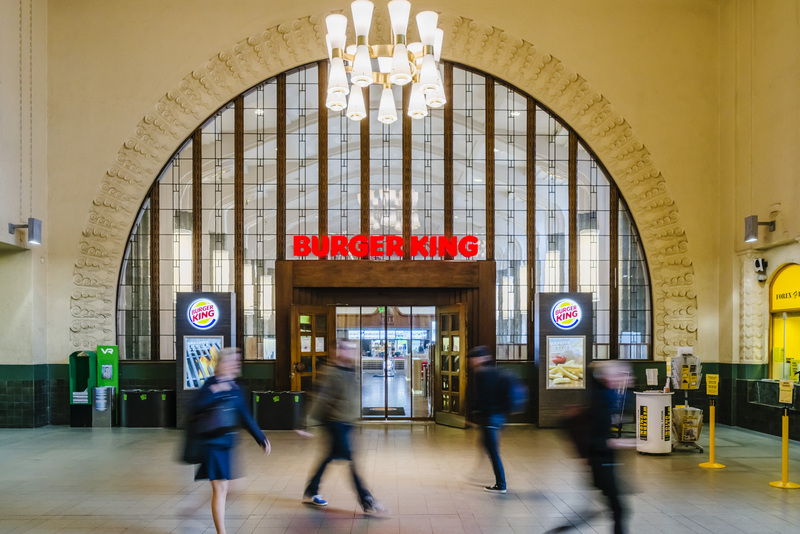 Gullstén-Inkinen Design & Architecture transformed a grand hall at the Helsinki Central Railway Station, a historic building designed by Eliel Saarinen and opened in 1914, into a unique space for international fast food chain Burger King. 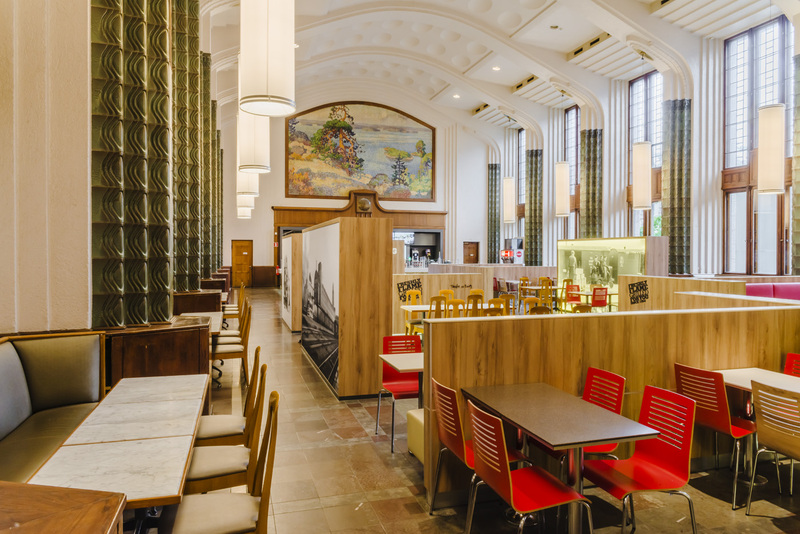 All work was done in close cooperation with Finland’s National Board of Antiquities so as to preserve the hall’s distinct character. 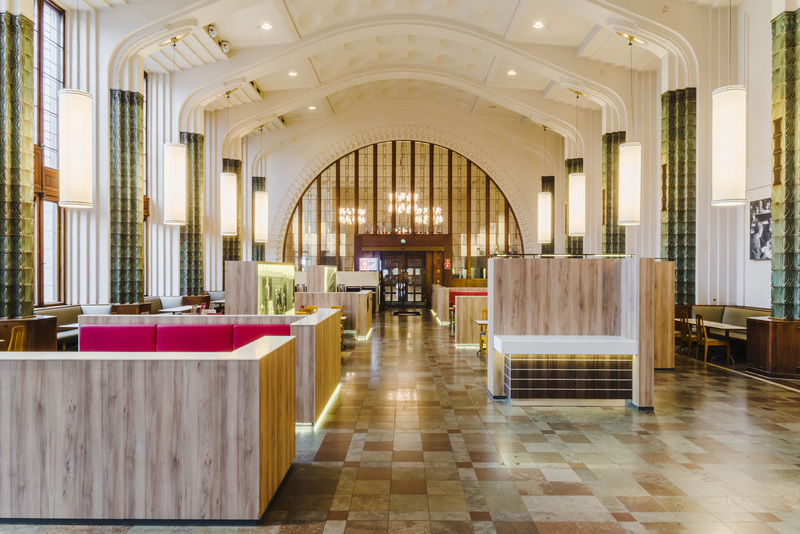 Both old and new furniture was used. 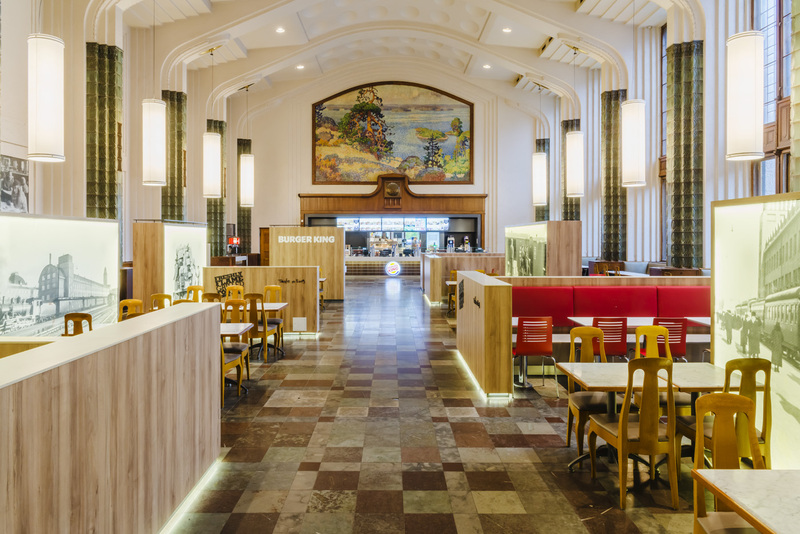 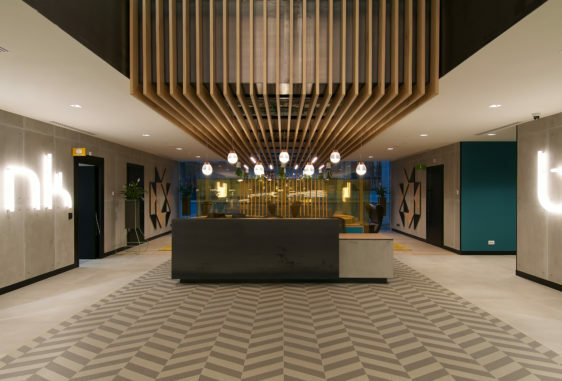 Strong air conditioning was used to protect the massive Koli fresco by Eero Järnefelt right above the service desk from kitchen grease fumes – the biggest concern for GI’s architects and interior designers.